17-year-old Japanese fashion designer on the street in Harajuku wearing a Paul Smith rose print suit with creepers and punk-inspired accessories. 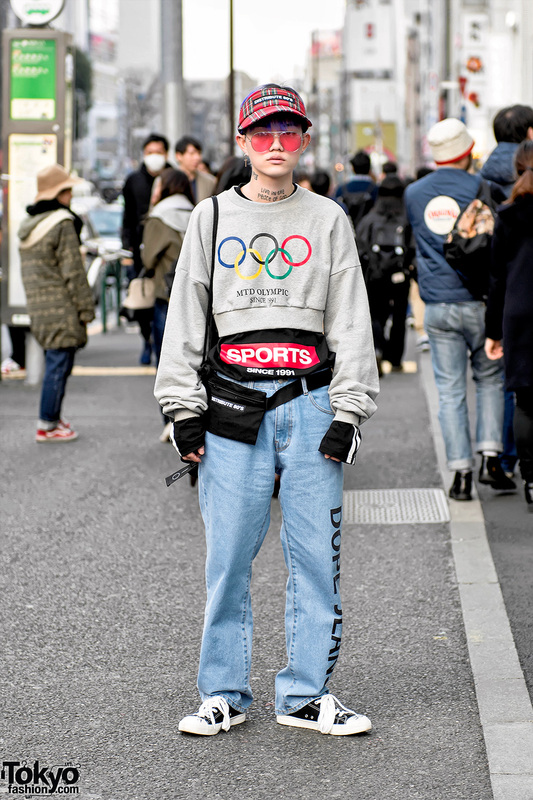 South Korean streetwear designer on the street in Harajuku wearing fashion by his own brand More Than Dope along with a plaid visor by ESC Studio. 24-year-old student with a cute short hairstyle wearing a sequin jacket, leopard print top, and spike necklace on the street in Harajuku. The stylish and fun owner of Bubbles Harajuku, Coi, with pink hair, a bright red jacket, House of Holland socks, green cross earrings, and purple fangs. 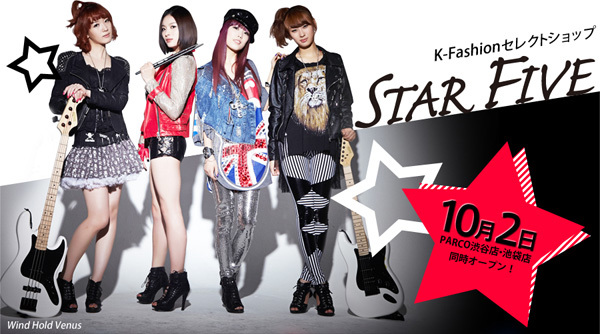 Star Five – a new K-Fashion select shop – is opening stores in Shibuya and Ikebukuro; K-Pop group Wind Hold Venus will perform live at the stores on opening day. 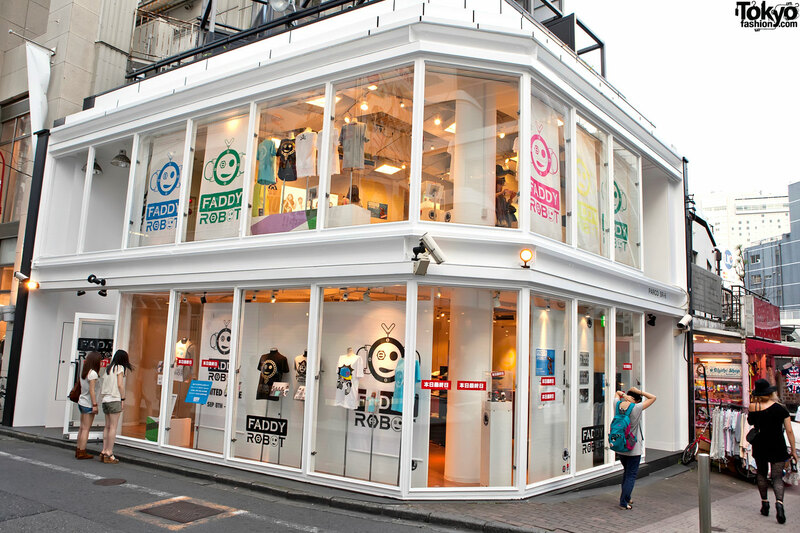 South Korean fashion brand Faddy Robot opened a limited-time popup shop in Tokyo offering special t-shirts in collaboration with several top K-Pop bands and performers.